That surely must be a first. Does it make me 100 though? The Westbourne Book Binge aims to bring back a book festival to Bournemouth and give readers access to authors and hear their process of writing and creating. I was asked by Susan England to host an author. This is very new to me and also very exciting. I don't know exactly what that means but I am meeting the author this week, which will help. Having just reached my 50th year, my book reading exploits have been severely lacking. So too with regards the Arts so I shall be going to an Opera, listen to an Orchestra and seeing a Shakespeare play all for the first time by the end of this year. What with the recent events regarding Facebook, ex-Russian spies, and how data can be used and exploited, this book and how nation states work within and around international law is just as relevant. In the digital age, insight and intelligence can be gathered without the methods employed in the book. It's still a point that gets argued as to how reliable is information gather under duress. When the psychological games of interrogation turn into the physicality of torture, does this improve the chances of gaining real trusted information? 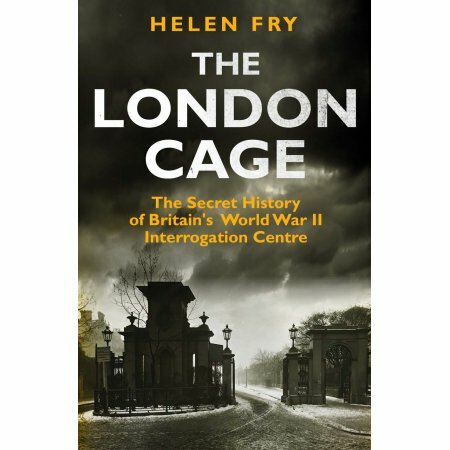 The book talk I am hosting is with Dr Helen Fry who wrote a book called The London Cage on the secret history of Britain's interrogation centres of World War 2. The many security and law enforcement agencies of the UK work very hard to protect us in an ever changing threat landscape. This book gives some insight into how things were done during wartime and subsequent work on bringing war criminals to justice. The event will take place on Friday 27 Apr 2018 at 12:30 pm - 2:00 pm. Venue is the Durley Dean Hotel and Spa, 28 West Cliff Road, Bournemouth, BH2 5HE. Another local event I am taking part in is the Westbourne Book Binge. I will have further details coming out but wanted to leave a few links here to begin with. This has been a very rewarding year so far, on a personal level, when it comes to some of the work I am getting involved in on local issues. Some people are natural local warriors but for me it has been a fairly recent thing to step forward. It could be that having focussed on work to a level where it has provided me with a nice lifestyle and some stability, it has given me the time, tools and skills to contribute to the community. Being one of the early administrators of the Southbourne Facebook Group (SoBo) it had been fantastic to see the group top 5000 members at the end of last year and now it has gone over 6000 in March. Saturday March 17, 2018 - I headed into town for a new initiative that started at the Old Fire Station on Holdenhurst Road in Bournemouth. 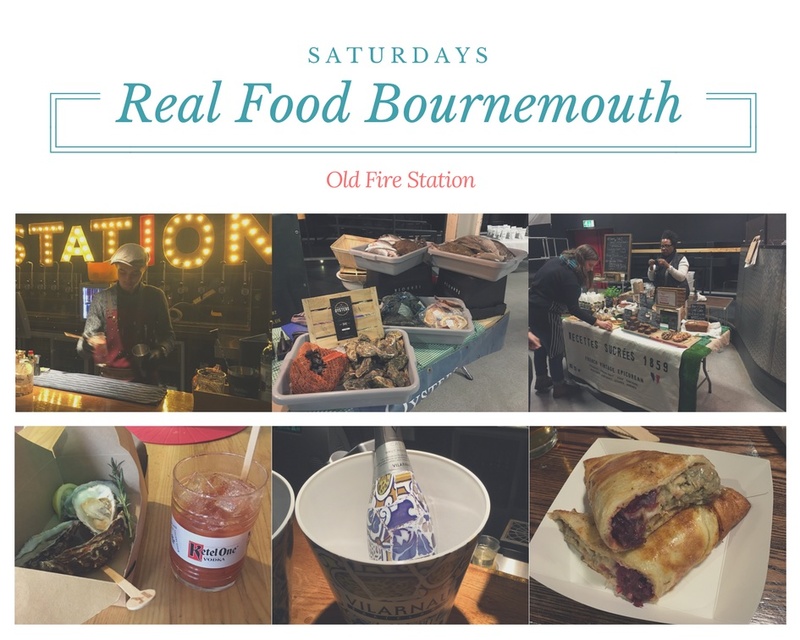 Called Real Food Bournemouth, it brings together independent businesses selling food and drink, in an informal setting with live music and DJ vibes. Although there was a light dusting of snow coming in, Bournemouth football club playing and rugby on TV there was a steady stream of foodies coming in to support the event, drink some Bloody Marys and eat oysters, as well as visiting the various stalls buying breads, cheeses, seafood and savouries. I also had my first Yorkshire pudding wrap and it was epic. By that stage I needed it: Bloody Mary, gin cocktail, red wine and Red Stripe. This is going to develop further and come the summer there should be hot BBQ street foods being cooked up and we'll be eating inside listening to chilled out music. Live music provided by Stompy Woodstock.